Home / News / Chiranjeevi, Koratala film reminds you of that Blockbuster! 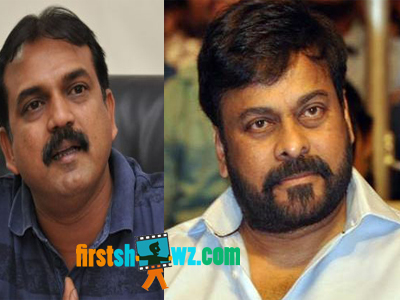 Chiranjeevi, Koratala film reminds you of that Blockbuster! We have earlier informed to our viewers that Megastar Chiranjeevi and director Koratala Siva film will be teaming up soon for a new movie, but there have been rumors in the meantime that the duo project has been shelved and Koratala moved to another projects. But putting an end to the speculations, Konidela Production sources informed that Chiranjeevi's film with Koratala Siva is very much ON, and that the Bharath Ane Nenu director narrated a storyline to Mega Star after he returned from Georgia schedule of Sye Raa. If the buzz is to be believed, Chiranjeevi, Koratala film reminds you of the Mega Star's blockbuster hit Tagore, but unlike VV Vinayak, this new film will be Koratala's take on corruption in bureaucracy in his own style. The pre-production works are in progress and film might go to sets from April next year. Chiranjeevi is meanwhile busy with Sye Raa, where the unit is looking forward for new schedule of the movie soon. Sye Raa Narasimha Reddy is scheduled for a release in 2019.